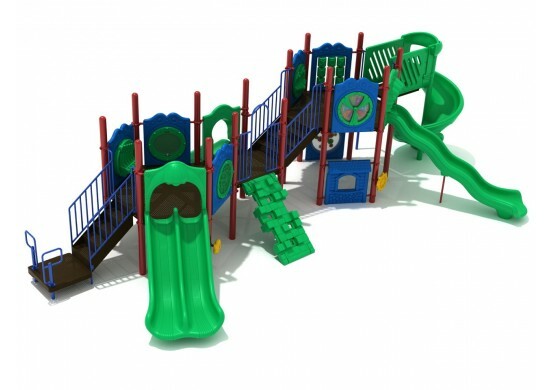 Brindlewood Beach is a prefect play system for large or busy play areas. 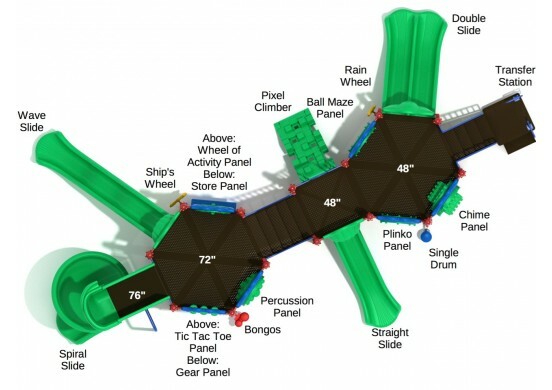 It has two large hexagonal areas which each support a pair of slides. 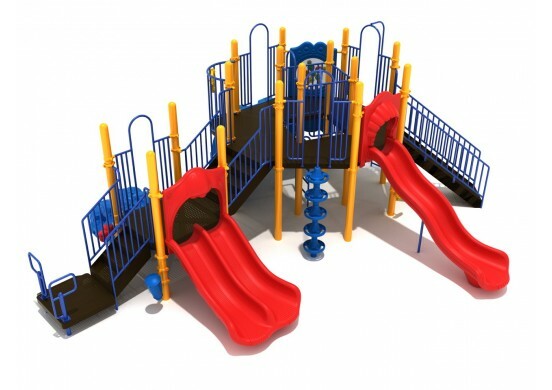 The lower one, standing at a height of four feet, supports a side-by-side Double Slide that is perfect for allowing kids to race against their friends. 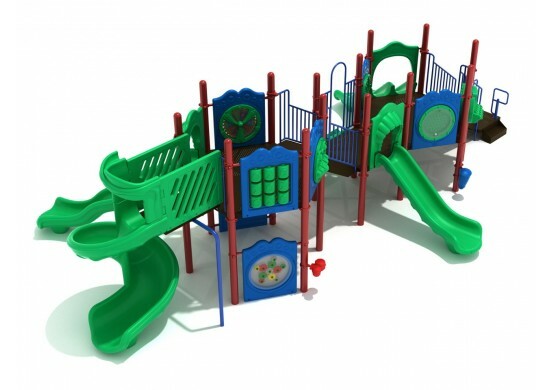 It also has a selection of activities, including a Ball Maze Panel for kids to play by themselves, a Plinko Panel for them to play with friends, and a Chime Panel to use as a musical outlet. The taller hexagon-shaped area stands at six feet, and uses this impressive height to support an exciting Wave Slide and Spiral Slide. It also has three activities: a Wheel of Activity Panel, a Tic-Tac-Toe Panel, and a Percussion Panel. Just like the other side, there is one panel for individual play, one that encourages cooperation, and one for musical exploration.